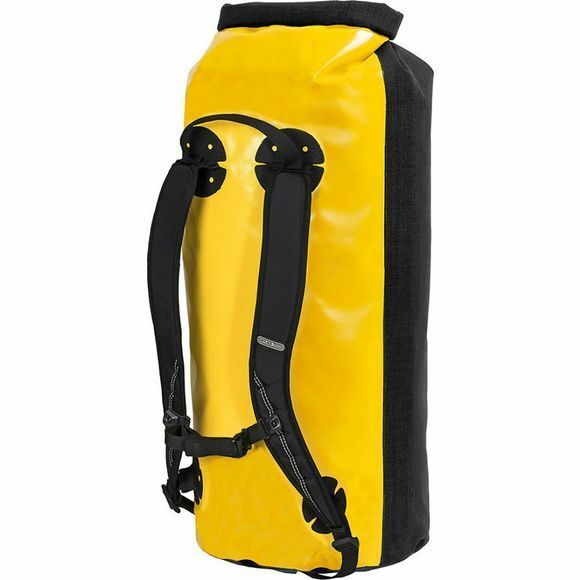 The ORTLIEB X-Plorer is a good compromise between dry bag and rucksack. The reliable roll closure with buckles is ideal for motorcycling, climbing, canyoning and many other outdoor activities. The ergonomically shaped shoulder straps with chest strap and reflective stripes ensure firm fit and optimal carrying comfort. Thanks to its light weight and minimal packing volume it can be easily stowed away. D-rings, carrying handle and bottom loop allow locking, transporting or fixing to a snap hook and rope.